Being highly sensitive can have a number of values for us, but it probably increases our vulnerability to anxiety and depression, which for many people go together to some extent. I’m sure that has been the case for me, and I have had varying degrees of these mood challenges for most of my life. Part of my motivation in researching and creating my series of sites is to better understand a variety of social and psychological issues that affect talent development and creativity – including how mental health challenges affect us and our capacity for living a fulfilling and creative life – and what we can do to help ourselves, including counseling if that is appropriate. But a disclaimer: I am a writer and researcher, not a therapist – so nothing on my various sites is meant to replace professional health advice and treatment. There are a number of well-known actors mentioned below: at least some of them consider themselves shy, introverted or highly sensitive (which are different, but may overlap). For more details about this research, see the article Anxiety sensitivity may put people at risk for depression. In her book The Highly Sensitive Child, Elaine Aron notes that some sensitive adolescents may drink and use drugs to try to overcome anxiety or depression through self-medication. That quote by Halle Berry about being abused as a child, indicates how much impact trauma can have, and how anxiety from that kind of life experience may help prevent developing a healthy self concept. See more quotes by her, and a number of other actors, writers such as J.K. Rowling, other artists, and psychologists on the impact of traumatic experiences, including bullying, in my post Creative People and Trauma. Her site: Profound Healing For Sensitives. I don’t know about TAT, but it sounds like EFT – see my post Counselor Rue Hass on using EFT to help highly sensitive people celebrate their positive qualities. Also see my post Ten Tips For Relieving Anxiety. I haven’t used either of those techniques, but have benefited from occasional use of the herbal preparation PureCalm, and the Holosync CD from Centerpointe Research, which I have used fairly often, and find very calming. I have also used St. John’s Wort – see list of resources at the bottom of this article. EMDR – Eye Movement Desensitization and Reprocessing – is used by many therapists. Clinical psychologist Cheryl Arutt says it is one of the most powerful ways to reprocess trauma. It is a technique I have experienced and benefited from, as I describe in my post Dealing with trauma and abuse to live a bigger, more creative life. Article: Highly Sensitive and Living With Social Anxiety – How can being highly sensitive or an empath make some people more susceptible to social anxiety? Includes summaries of research, plus resources for help, such as Emotional Freedom Techniques or EFT – now called The Tapping Solution. There are many varieties of stress, anxiety, trauma, unhealthy self-regard and other experiences that can impact our lives and creative expression. This article has a variety of perspectives from psychologists, coaches and authors that can help regain healthy levels of energy with less stress and anxiety. From his HSP Health post Changing Habits. Also listen to our audio interview: Dr. Ted Zeff on how people can benefit from being highly sensitive. Johnny Depp is considered by a number of writers and other people to be highly sensitive, as well as introverted – traits which often overlap for many of us, who may also experience shyness, a form of anxiety. Sophia Dembling comments in her book “The Introvert’s Way” that “introverted movie stars like Julia Roberts tend to get famous when they’re in extrovert mode — acting, chatting it up on talk shows, making red-carpet appearances. From my article Introverted, Shy or Highly Sensitive in the Arts. From my article Gifted, Talented, Addicted. From article: Johnny Depp & the Signs of Alcohol-use Disorder, BLVD Treatment Centers. From Filming suspended! Pirates Of The Caribbean 5 put on hold while Johnny Depp undergoes treatment on injured hand By Amy Roberts For Daily Mail Australia 28 March 2015. He has also talked about his anxieties and shyness. Another possible source of anxiety for sensitive men. See related video with Heath Ledger, Johnny Depp and other sensitive men in post: Are we cry-babies? Depp is one of many well-known people who have engaged in cutting or other forms of self-injury, to deal with overwhelming feelings. 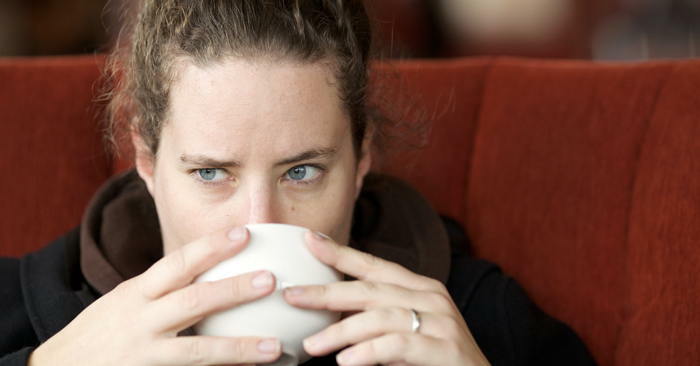 Many people experience mood challenges like depression and anxiety together. Some of the following artists may or may not be highly sensitive, but you might relate to them. One example: A news article reported, “Along with 20 million people in the U.S., British actress and screenwriter Emma Thompson has dealt with depression. She said: “I think my first bout of that was when I was doing [the play] Me and My Girl, funnily enough. 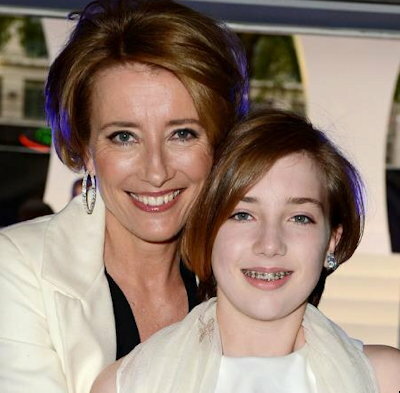 From post: Emma Thompson and Depression. Related article “15 Celebrities With Mental Health Disorders“ – includes a number of prominent people: Catherine Zeta Jones, Mel Gibson, John Nash, Craig Ferguson and others. Ashley Judd relates being “a hypervigilant child” to “always striving to be perfect” – another issue for personal development that affects many gifted adults. – From Hypervigilance and Highly Sensitive People. Winona Ryder has said, “You go through spells where you feel that maybe you’re too sensitive for this world. I certainly felt that.” – See more in post: Winona Ryder, Heath Ledger and Other Creators On Being Highly Sensitive. Gwyneth Paltrow is among the list of “Famous introverts” on the site of Marti Olsen Laney, Psy.D., M.F.T., an author, researcher, speaker, educator, psychotherapist and an authority on introversion. – See more in post: Marti Olsen Laney on Introversion Advantages. In his article “Treat Depression and Anxiety With St. John’s Wort,” Mike Gerard noted “Depression and anxiety can come from physical causes as many HSPs know and also from situational causes. He goes on to write about St. John’s Wort – “The herbal remedy is made from its flowers and leaves. It contains hyperforin, hypericin and pseudohypericin, three components scientists believe relieve symptoms of depression and anxiety. See more articles and resources on the excellent Sensitive Evolution site [former HSP Health]. Personal note – I have used St. John’s Wort [link to Amazon] for a number of years to support my mood health. Also see helpful customer reviews on Amazon. 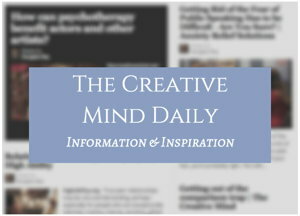 – From my Creative Mind post Rethinking Depression and Creativity. “Many of our brightest, most creative, most independent thinking children and adults are being incorrectly diagnosed as having behavioral, emotional, or mental disorders. Another article: Anxiety Relief Supplements.